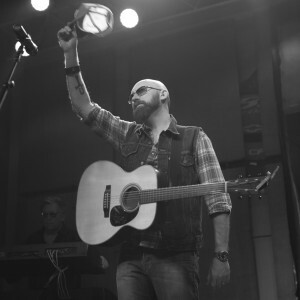 The way Corey Smith sees it, he owes a debt to his fans. And it’s one he is determined to repay with his 10th album, While the Gettin’ Is Good. The project, released on Sugar Hill Records, marks the first time that the singer-songwriter, a wildly popular touring artist who has produced all of his past efforts, has turned over the reins to a bona fide country music producer in Keith Stegall. The result is Smith’s most ambitious record yet, as well as a return on the investment made by the fans who have supported him since his first album in 2003. A collection of 12 songs, While the Gettin’ Is Good was written entirely by Corey. As such, it’s a deeply personal album, one that explores themes of love, hometown pride and even personal discovery. A close relative inspired one of the record’s highlights, “Bend,” about learning how to adapt to what life throws at you. Still, the album stands as the Jefferson, Georgia, native’s most upbeat. Especially on the nostalgic “Pride,” a bouncing look back at Corey’s high school days, from pep rallies to game day. His children attend the same school he did and together they often attend high-school football games, where the one-time social studies teacher sees friendly faces from his past. Likewise, album opener “Don’t Mind” coasts along with a New Orleans vibe, full of fiddle and clarinet. A fun, happy song, it sets the tone for the record and pays tribute to the things we all gladly bear when we’re in love. It also epitomizes Corey’s current worldview. 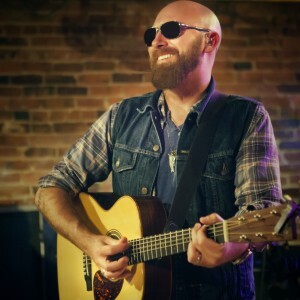 Nonetheless, Corey has hit on the perfect song for today’s country radio: the approachable ballad “Taking the Edge Off.” It’s a road-weary travelogue, like Bob Seger’s “Turn the Page” or Zac Brown Band’s “Colder Weather,” about the loneliness of touring and how people who travel combat such feelings. 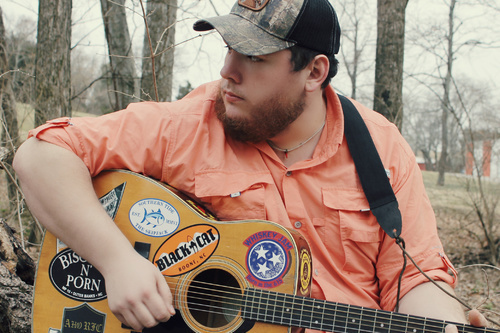 Luke Combs is a 25-year-old musician with a passion for playing country music. Luke began to develop his craft in the summer of 2011 while attending Appalachian State University and has been plowing ahead ever since. After 3 years playing with his band in his home state of North Carolina, Luke made the move to Nashville in September of 2014. Quickly creating a buzz amongst the musical community, Luke released his single "Hurricane" on June 16th of 2015 and saw it rise into the iTunes Country Charts Top 10 day of release as well as the Billboard Hot Country Top 40.